Face it! Classic literature is intimidating. From the lengthy words to the old-fashioned ways of thinking, books written before the 21st century have this stigma of dryness and intelligence that feels beyond our own. You are not going to like every single book you read. And anyway, why should you bother with classic literature in this day and age? Straight out of college, I challenged myself to read at least one literary classic a week. My first choice was The Catcher in the Rye by J. D. Salinger. After quickly finishing the novel (which I enjoyed very much), I was pumped. It seemed like this reading challenge was a breeze. I was ready for my next choice: Anna Karenina, by Leo Tolstoy. Boy, did I make a grave mistake. Published in the late 1900s, this book gives insight on life in Russia during that time period. I read through about 100 pages and put the book down. Not only did this book drag on forever, it also didn’t speak to me at all. There was absolutely nothing for me to relate to. Discouraged, I moved onto the next novel. After such a failure, I HAD to finish the next book. It seemed like Ray Bradbury’s Fahrenheit 451 was a decent decision. After flying through the pages, I was obsessed. Moving on to the next book, I had the same exact problem as with Tolstoy’s novel. The moral of this story is this: You don’t have to like every single book you read. No matter how classic or “timeless” a book is, there are always going to be some that pertain to your life and some that just don’t make any sense at all! 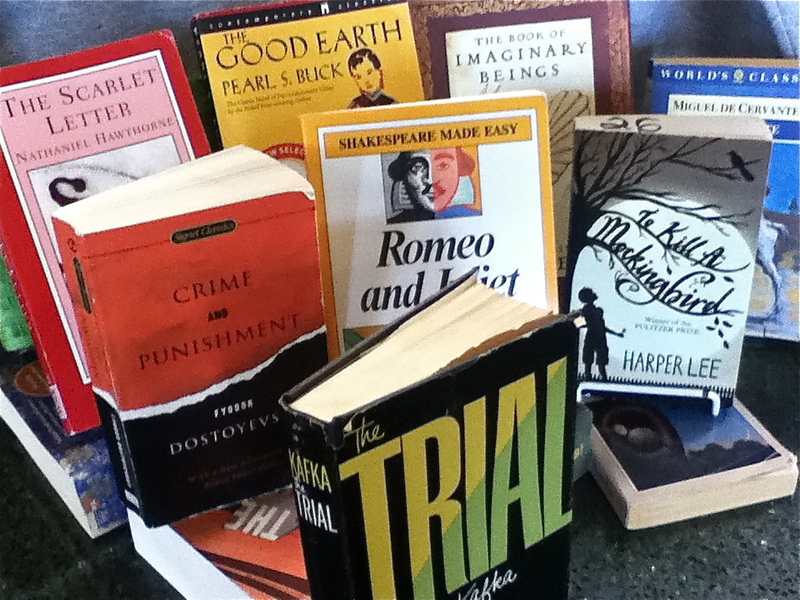 Why should we bother to read and recommend classics? Because you never know which stories you or someone one else will connect with. Books can connect with each of us differently, especially at different times in our lives. What you try (and fail) to read at age 21 might be your favorite book at age 30, and vice versa. Books are meant to be read and people are meant to have opinions. That is one of the greatest parts of being human. Just remember that they’ll always be waiting around for you to give them another chance. And strongly I suggest you do.